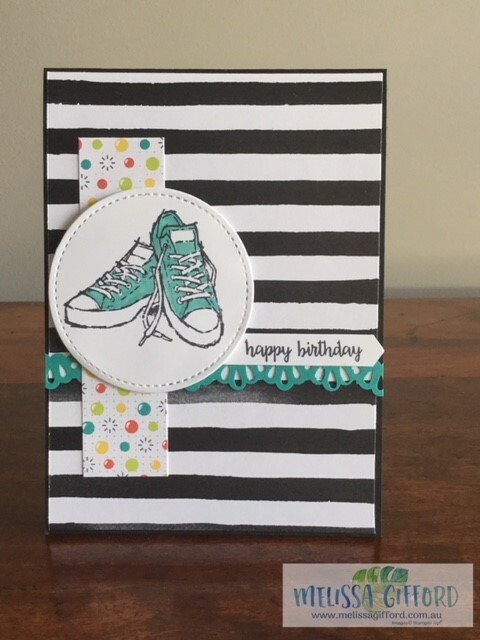 Today I have another fun birthday card to share with you! I love these converse shoes! And the best bit is I can have them in any colour I want! And judging my the stash of cards I have been making, Bermuda Bay is my favourite colour at the moment! !